Thread: Supplementation & other ideals for keeping L. williamsi? At long last, I have my first two juvie Williams geckos. 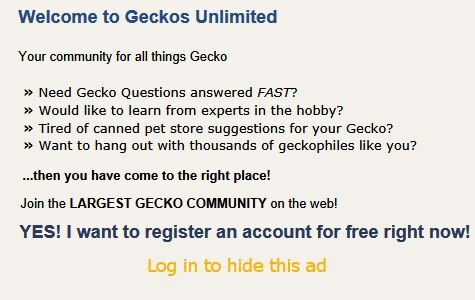 My first geckos ever and the first reptile pets since those long ago school days when I had a horde of turtles. It's been fun but also a bit nerve wracking. Here are some details about their care so far. They are living in a ZooMed 18x18x24 glass vivarium. Currently lightly planted, but I will be adding many more plants. One ZooMed UVB 5.0 in a deep dome sits on the screen top, plus a flourescent bulb in a clamp lamp up top for the plants. There is a large cork round slanted across, a small hanging planter, an upright cork piece and a vine stump for climbing, with fig vines that will grow in with some time. At this time, I just turn the lamps on when I get up and off when I go to bed but I am not exactly on a regular schedule myself. So is there an ideal day/night length I should provide? A timer would be easy to add to ensure a more regular cycle. I'm using a reptifogger and simple digitial timer, but will be buying a Mist King, as the fogger, though it looks neat, is finnicky and fussy and not working very well. I've been able to keep the humidity from dropping below 50%, but it goes up/down all day long. Humidity might be 90% in the morning and an hour or two later, down to 50%, then bounce up to 80%, and so on. I hope the Mist King will keep things at a more stable level. I know humidity is critical, is 50% low enough to be a risk to the geckos? I can increase the duration or frequency of cycles and keep a closer eye on the fogger 'til the Mist King comes. They are eagerly hunting & catching fruit flies & tiny crickets, and the minute it is warm enough to ship safely, I'll add springtails. Soon as I can get them, I'll be adding bean beetles,meal moths and isopods to their diet too. ( I'm just outside Toronto, On, it's too cold for shipping live things!) Since the geckos are very young, I've been allowing a few fruit flies in the vivarium daily & about four crickets every couple of days. Is that too many? Would they overeat if there are too many insects? Despite all the reading I've done, it just isn't clear to me how much, or how often, I should be supplementing their fruit puree or nectar with Ca+D3 or vitamin mix, and I sure don't know how much of the stuff to add to any given amount of fruit. I have RepCal brand Herptivite & Calcium w/Vit D3 to use. What would be a reasonable size of serving to offer? I'm also not entirely clear on just how often their insects should be dusted. I don't want them going short or being overdosed with anything but I have read advice to dust daily, & also every other day and even once weekly. Is there any consensus on this? Currently, the temperature at one upper corner of the vivarium, under the UV lamp, is around 85F, and the opposite, lowest corner is just under 80F. Is this enough of a temperature gradient or does the cool corner need to be cooler still? One of the geckos spends a great deal of time up in that warm corner, under the UV lamp. It appears to be his favourite hangout. The other spends a lot of time cruising around the channel under the screen top, but both roam around and chase things. Best I can tell, they seem to be content in there. Sorry this is rather long but advice on these details will be very welcome. Last edited by Fishfur; 02-07-2019 at 02:14 PM. Reason: sp. I have one adult L. williamsi at the moment. As an adult, he is eating 1/4" crickets which I dust at every feeding because I don't know if the crickets will still have retained their coating of supplement when the gecko gets to them. I use Repashy Calcium Plus. If you're using a complete food fruit nectar, the supplements are already in there and you don't have to add anything to the mix. Generally they will eat however much they want. It is unknown what geckos can and cannot utilize beta carotene (the type in RepCal) and so it's best to provide a Preformed A source such as Repashy Calcium plus or Reptivite on insects. Do not add supplements to an already balanced food source. That's also why I like to feed my bugs and worms a dry diet that contains some pre-formed vitamin A acetate (retinol). I've heard a wee bit of retinol is sufficient for a gecko to then benefit from pro-formed vitamin A (beta carotene). I appreciate the tips. So far, my geckos will not touch the complete Repashy diet that I have. I think it's Grubs 'n Fruit? I've been dusting most of their crickets, but now I learn that there may be an issue with beta carotene, I will look into getting the Repashy calcium product instead of the one I have to dust with. The geckos are doing well, so far as I can tell. Very active, eating well but only fruit flies and crickets. They have ignored every fruit offering I've tried too. Is there any particular complete diet that appeals to most of these guys? I'd really rather give them real fruit puree and supplement if need be, but, I am concerned that by refusing the diet I have for them and also fruit purees, they're going short on some essentials. So if that means I have to get some other commercial diet, so be it.